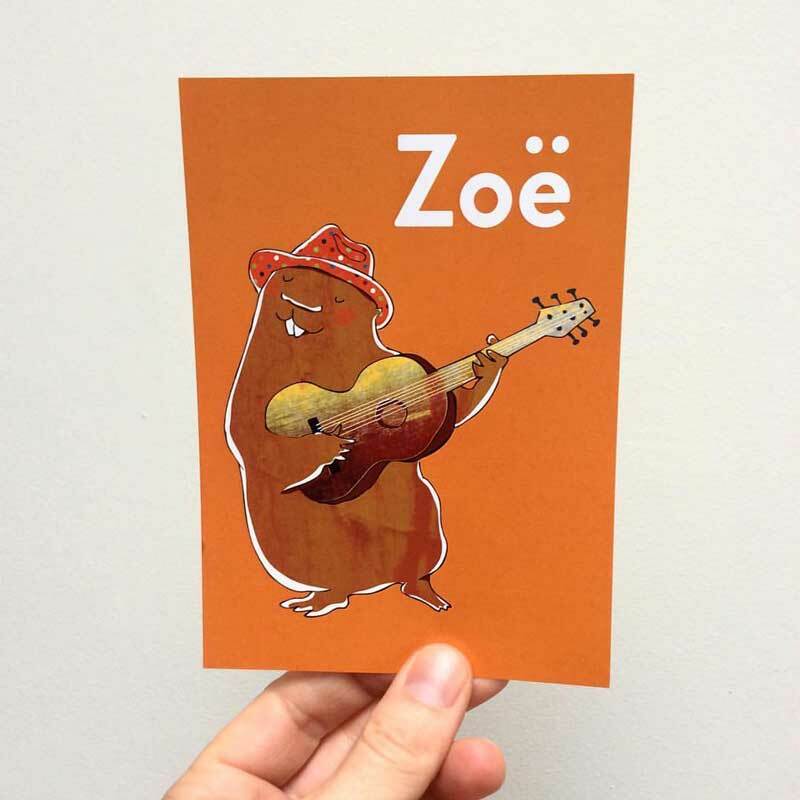 Custom made birth card for Zoë, using some of my playful illustrations. 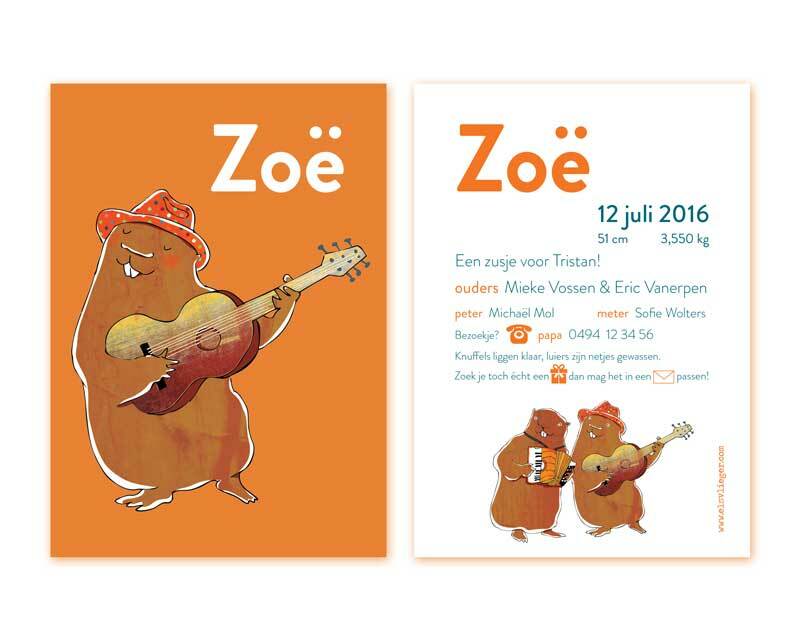 The parents are music and guitar fans. If you’re interested in a custom made design feel free to contact me for a price quote.